Product #17342 | SKU HFBKSD1 | 0.0 (no ratings yet) Thanks for your rating! The Sony HFBK-SD1 is an optional SD output board that is designed to be installed in the BRC-H700 3-CCD PTZ communications camera. The board permits output of (down converted) standard definition video signals in both analogue and digital domains. 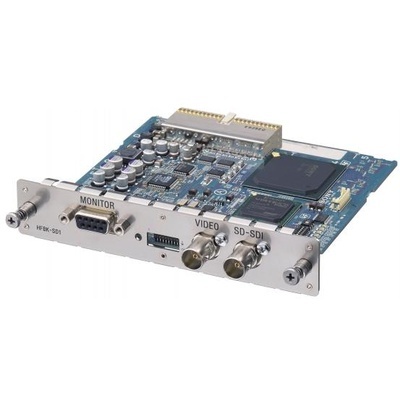 This board has one SDI output, one Composite Video output and one Analogue Component/RGB output.